Eye Love Wednesday - long lasting cream shadows from Maybelline, Sephora and Avon! Maybelline 24hr Color Tattoo Leather - $8.99 - in 5 runway inspired, leather hues: Creamy Beige, Deep Forest Vintage Plum, Chocolate Suede and Dramatic Black - with a cream gel formula that offers saturated colour without dryness or cakiness and an edgy, matte finish that lasts through any all-night party! Sephora Waterproof 16HR Velvet Eyeshadow - $19 - in 12 shades: No 3, Pink Feather, Divine Black, Silver Delight, Subtle Grey, Plush Purple, Plum Velour, Satin Navy, Soft Brown, Creamy Green, Turquoise Waves and Taupe Sweetness - with a velvety, long-wearing, lightweight, creamy formula that offers buildable intensity, ranging from a sheer wash to full coverage, and lasts for up to 16 hours. 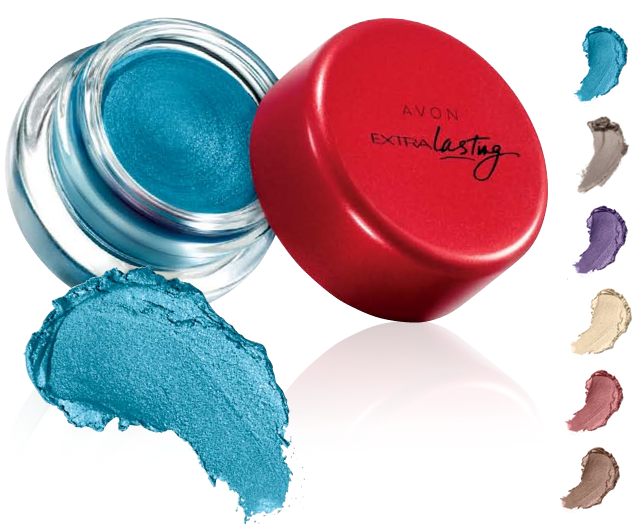 Avon Extra Lasting Eyeshadow Ink - $9 - in 6 vibrant shades: Infinite Teal, Totally Taupe, Endless Purple, Gold Gleam, Forever Bronze and Always Merlot - of stay-true, pure colour pigments in a cream-gel formula that is crease-proof, sweat-proof and waterproof for high impact colour that lasts and lasts!